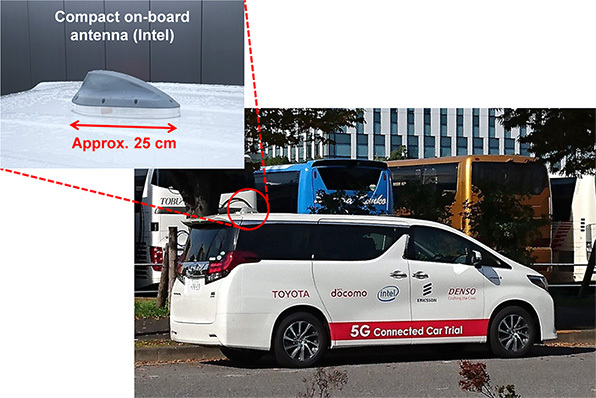 TOKYO, JAPAN, November 6, 2017 --- NTT DOCOMO, INC. announced today that in a trial of 5G technologies for automobiles, which it conducted jointly with Toyota Motor Corporation (Toyota), Ericsson and Intel Corporation (Intel), it achieved data speeds of up to 1 Gbps for 4K-resolution video communications with a vehicle traveling at 30 km/h. The technology will be demonstrated at the National Museum of Emerging Science and Innovation (Miraikan) in Tokyo from November 9 to 11 as part of DOCOMO R&D Open House 2017. This initial multi-party trial conducted along Tokyo's Odaiba waterfront on November 2 involved a moving vehicle mounted with an Intel® GOTM 5G Automotive Platform terminal and equipped with a compact on-board antenna head designed for connected car trials. 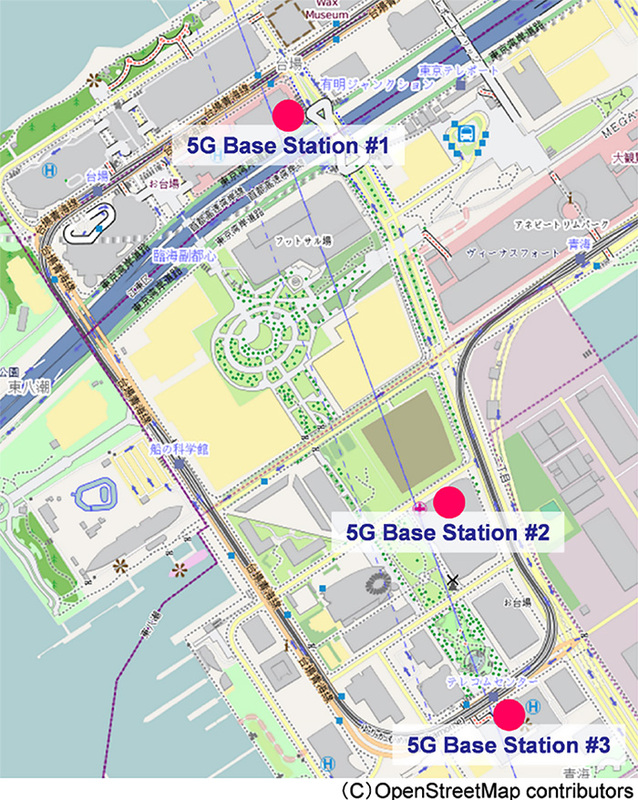 Traveling at a speed of 30 km/h through a 5G trial environment constructed by DOCOMO in the Odaiba area, with multiple Ericsson base stations and Cloud-RAN, the vehicle successfully streamed live 4K video at data speeds of up to 1 Gbps downlink/600 Mbps uplink, demonstrating 5G's unprecedented ultra-high speed data rates, extra-low latency and massive connectivity. Further trials will be conducted in cooperation with Ericsson, Intel and Toyota to test the practicality of services for 5G-connected cars and other applications. This accomplishment marks the first 5G multi-vendor interoperability trial involving a device connected to a base station in an automotive environment. DOCOMO has been partnering with leading companies in its drive to develop new services based on 5G technologies. Since May, DOCOMO has been operating 5G Trial Sites to let everyday customers view and experience emerging 5G technologies that may be incorporated into new products and services in the future. The NTT Group and Toyota have also agreed to collaborate in the research and development of an ICT platform for 5G-connected cars. Going forward, DOCOMO will continue to work with diverse global partners to develop and standardize 5G technologies for advanced services in the field of automobiles and beyond.